The second anniversary of the signing of the Paris climate agreement was celebrated in December 2017. 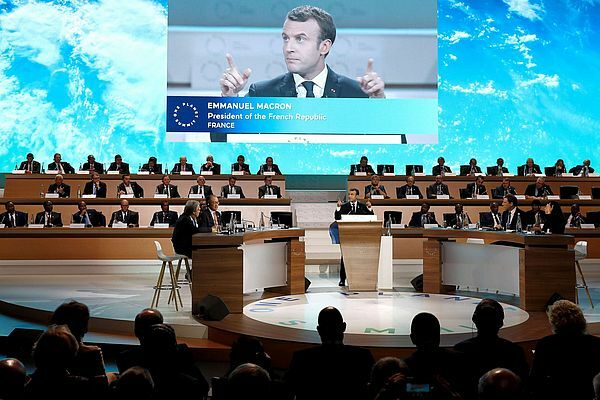 Hundreds of companies continue to step up the fight against climate change, and almost 1200 are the companies aiming to align their business plans with the Paris Agreement goals by 2019 - through setting science-based emission reduction targets. 327 major corporations have already set or committed to set science-based targets through the Science Based Targets initiative, while 864 additional companies declared their ambition to set a science-based target in the next two years in their 2017 disclosures to CDP, the global environmental impact charity. DSM is one of the companies that is committed to scaling and accelerating business action to realize the goals of the Paris Agreement. Since December 2015, when the Paris Agreement was adopted, on average two companies per week have made a commitment to the Science Based Targets initiative. They come from 36 countries and include Walmart - the world’s largest retailer, major electric utilities including EDP and Enel and 15 major clothing brands like Nike, Levis and Asics. Schneider Electric has recently committed to sourcing 100% renewable electricity by 2030 through RE100, and doubling its energy productivity by 2030 (2005 baseline) through EP100. French utility EDF Group has committed to transitioning to electric vehicles by 2030 through EV100, a recently launched initiative aiming to make electric transport “the new normal”. All three initiatives are led by the international non-profit organization, The Climate Group. By committing to RE100, Schneider Electric joins 117 other major global companies committed to 100% renewable power, and together they are stimulating 155 TWh demand for renewable electricity, annually - enough to power the whole of Ukraine. Some members are also calling on their suppliers to commit to sourcing 100% renewable electricity. Since the Paris Agreement was signed, there has been a ten-fold rise in the number of companies making commitments like science-based targets, RE100, EP100 and EV100 through the We Mean Business coalition’s Take Action campaign. Today 640+ companies have made almost 1100 commitments to take action on climate change in partnership with the coalition. They include 26 of the world’s top 100 emitters of greenhouse gas and 60 of the Fortune 500 Combined, the companies are responsible for 2.31 gigatons of greenhouse gas emissions, equivalent to the total annual emissions of Russia. They represent $15.5 trillion in market cap. Since Paris, 129 companies have publicly committed to responsibly engage in climate policy. In line with this, the We Mean Business Coalition supports the Business Declaration of Foundation 2°, which was recently launched. In the letter, 54 companies call on countries to develop and implement long-term decarbonization strategies, to phase out fossil fuel subsidies by 2025, to put an effective price on carbon, and to support the work of the Taskforce on Climate-Related Financial Disclosures. In addition, several high profile companies, including a number RE100 members, will announce their support for the Powering Past Coal Alliance at the One Planet Summit tomorrow.